Have You Hugged a Formula 1 Car Today? 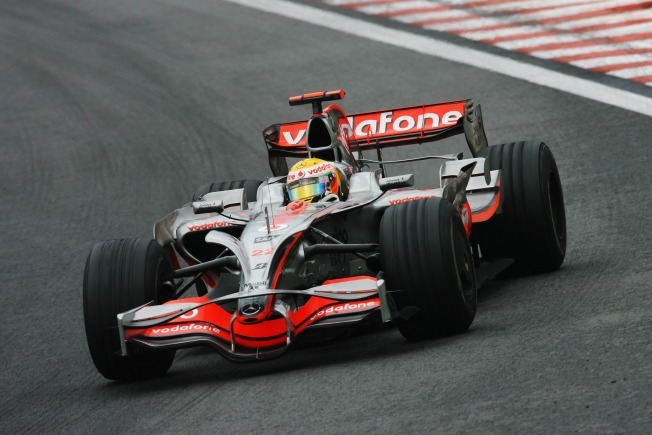 The technology in Lewis Hamilton'sMcLaren Mercedes has off-track applications as well. These cars really are setting the pace -- of technology. Racer Lewis Hamilton's Formula 1 McLaren may help heal an injury. And Kimi Raikkonen's Ferrari can make it easier to land on Mars. It's even easier to reel in a big one, thanks to Nick Heidfeld's BMW Sauber. In a sport that demands millions of dollars to shave lap times by less than one second, it's not hard to see how Formula 1 produces superior automotive technology. But a new exhibit at the Science Museum in London shows how that technology applies to people who do not wear crash helmets and flame-retardant suits to work. "Fast Foward: 20 Way F1 is Changing Our World" explores everyday applications for Formula 1 technology. For example, violent crashes might leave a race car in pieces, but the driver remains protected because of the way the crash's energy is dispersed. The same technology is used to help the military protect its troops from mine and car-bomb blasts. As for fishing line, it borrows from F1 tire design. Grooves in Formula 1 tires reduce the amount of rubber that comes into contact with the track in the same way that grooved fishing lines reduce friction with the rod. Principles used in hydraulic dampers in Formula One have been used to develop a leg brace that minimises the impact of the repeated shocks to the legs suffered by United States Marines travelling in rigid inflatable boats in heavy seas. The brace has also been shown to help soldiers cover from knee injuries. The casing of the 2003 Beagle 2 Mars lander used a special lightweight plastic first used in F1 exhaust systems, adapted to protect the craft's sensitive scientific instruments. Strong but light carbon fibre shells used for the body of racing cars have also been used to create the Babypod II, a container used to transport babies requiring urgent medical treatment. It is lighter and far more easily stowed in cars and helicopters than a conventional incubator.